This enormous museum has 12 exhibition halls that show works in mediums ranging from photography to sculpture to abstract paintings. There is a great deal to see; so much so that it makes sense to visit more than once. Current exhibitions include Call of Beauty, Professor Zhoubo’s selections of notable women’s portraits, Youth Apartment, a 3-part abstract look at the sentiments of Guangzhou’s youth culture, and the particularly wonderful The Defining Photography of Juan I-Jong. 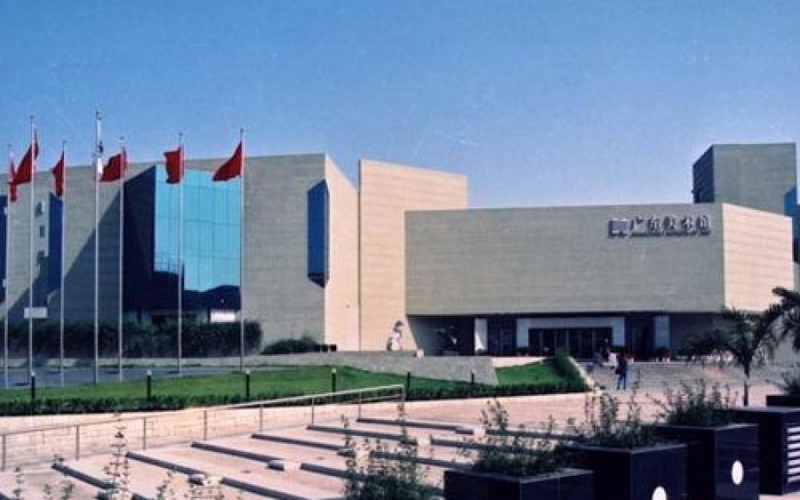 Two other sections of the museum that are worthy of note are the Pan He Sculpture Garden (particularly the epic sculpture entitled “Glaive Charge”) and the Sichuan Earthquake sculpture exhibition on the second floor. Visiting hours are from 9am-5pm (closed on Mondays). You may be asked to pay a 15RMB admission fee (7RMB for students), but it is sometimes waived during exhibitions. The museum also has a very nice, though highly priced, restaurant.